I still like using What's On Your Nightstand as a chance to give myself a basic reading guide for the upcoming month. However, I don't seem to be able to follow my guide very closely. Of course, this month Dickens ruled the day for me and so everything else got shoved to the side. Here is last month's Nightstand. I said I wanted to read Tolstoy and the Purple Chair. I did get to that one and the title is linked to my review. I really liked this one, personally. Bleak House by Charles Dickens has been read. And documented. Cradle My Heart - I had this one to review for 5 Minutes for Books but opted not to. I had some theological disagreements with the author of book and since it is a touchy subject, I thought it wiser to just lay the book aside and move on. I think titles like this are very useful and necessary. That said, instead of this particular one, I would personally recommend either You're Not Alone: Healing Through God's Grace After an Abortion or Broken Into Beautiful first. I did not get to Love Your Enemies (but still want to). I did sort of read Tea Party Culture War and the review is over at 5 Minutes for Books. It is not a book I am a big time fan of or anything. Professionalizing Motherhood : Encouraging, Educating, and Equipping Mothers At Home, by Jill Savage is the September pick for the Reading to Know Book Club. This upcoming month's discussion will be hosted by Stephanie's Mommy Brain. I told Sarah at Library Hospital that I would read The Man in the Iron Mask with her last month. However, I mentioned Dickens . . . ? I plan on catching up to her (although she may beat me) with that title this coming month. Lastly, (for the sake of this post), I received for review and have already begun reading Pursuing Peace: A Christian Guide to Handling Our Conflicts . It is very good and I look forward to telling you more about it! Now I'm curious as to what your theological disagreements are with Cradle My Heart. It definitely is a controversial topic, though. 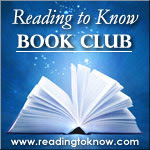 I won't be participating in this month's Reading to Know bookclub--but I'll be very interested in reading everyone's thoughts. Your two review titles look like fun. I was needing to look up the September choice for the book club. I'm not sure I'll join in with that one or not -- since my last child just started college, I don't think I'd need it personally, but I like to read current books to know what to recommend, so I might. Will have to think about it. I'm looking forward to your thoughts on Man in the Iron Mask. Marvel Comics, eh? :-) That should be interesting. I remember my brother had some of the comic books as a kid, and I've enjoyed some of the recent movies based on their characters. 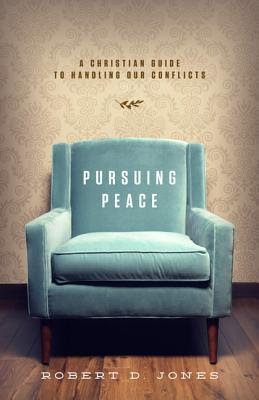 Pursuing Peace: A Christian Guide to Handling Our Conflicts sounds interesting, too, depending on the author's stance. I want to read Dumas. I haven't read any!! I am a sucker for a book on language, so I eagerly await the review of "Ain't." Pre-Shakespearean Drama by various authors, mostly anonymous. The American Way of Eating by Tracie McMillan. Wow. 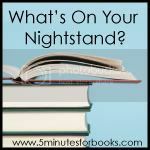 You have some serious books in your stack! I will check out the alternative abortion books, as I like to offer counsel/support for women on this topic. The DIckens one has me curious. Inspiring! I RAN OUT OF BOOKS. (Yes, please do read panic in that sentence.) We are away from home with Mr on a work trip and I neglected to correctly ascertain the amount I would be reading.... I regret not bring the essays of St Augustine! A trip to the local library is definitely in order! Professionalizing Motherhood sounds interesting, I'm not sure what to think of the title. My birthday is the International day of Peace in September so I will be trying the Pursuing Peace one as well. Other than that I have a Ravi Zacharias I have been neglecting. But its on my kindle and I miss turning pages, I like to flip back and forth in his books. PS Marvel Comics isn't a publisher I was prepared to see on your blog! I loved the original X-Men. I am curious about the book you are reviewing! I love how you give other options to a book that you feel might be theologically incorrect. It is never good to pass on a book that you feel conflicts with your core beliefs. Another one that I won't get to this month (because I can't purchase it) Professionalizing MOtherhood...BUt I will get to Octobers read, Uncle Tom's Cabin! Hope you find your mis - placed book! Congratulations on getting through Dickens. I've made it through one of his and haven't tried another one. I'll look forward on your thoughts on The Man in the Iron Mask. I have the The Count of Monte Cristo on my TBR list. I'm curious about your take on "Cradle my Heart" too. I read a book this year written by a Chinese woman who'd had several forced abortions. As always, an interesting list! That Marvel Comics book looks really interesting. I have to say your post on Bleak House was not at all what I expected! He definitely was very verbose. I must get back to Dumas. 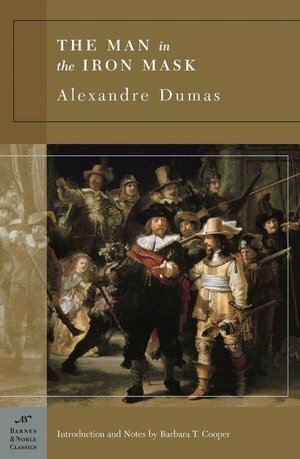 I loved The Three Musketeers but keep forgetting to pick up the next book in the series. Love the diversity in your list, Carrie. I also like that you tell us what books you couldn't get through. That's valuable info too. Good for you in sticking intently with Dickens. A sharp mind you have to do that! I recall reading Professionalizing Motherhood a few years ago and think it was good, although I don't remember it in detail anymore. Pursuing Peace sounds interesting! Man in the Iron Mask was SO good! I hope you like that one, Carrie.